Today I want to share the real secret behind ranking #1 in google with you. After serries of researches for months I decided to share few tips I have learnt concerning ranking absolutely #1 in Google search engine . Below are some of the tips you should know which might be very useful to you if you run or manage a blog/website but incase you don't, it's of a high priority you recommend to someone who needs it. 1. Work smart not hard:- Don't keep writing contents constantly. Always try to make the old content better and more unique. Do much optimizations as possible. Don't go for new topics if your current articles are not ranking good. 2. Go with trend:- Always focus on the trending topics. Don't feel so lazy that you can't compete with trends. Everything is possible. You can surpass any authority site in days or to be sincere in weeks with quality efforts. Tip: Use google trends to know about latest trends. 3. Choose high competitive keywords:- Many experts always suggests you should go for low competitive keywords which are in some extent the right decision especially if you are a newbie, But, if you can beat the challenge then go with high competitive keywords and once you rank, it means you can rank for any it's matching or alternate keyword. Tip: don't use any paid tool for keyword researching. Google itself is sufficient and gives accurate info. 4. Focus on quality as well as quantity:- I observe recently that most people thinks that only quality matters and some thinks quantity matters. But to be sincere they both matters equally. So, always try to make quality and unique contents with good quantity. Tip: Always write contents more lengthier than the #1 rank holders. If their content has 1000 words , then you surpass/write 1100 words. 5. Use social media power:- I was quite a victim of doubt with social traffic powers because I thought it lasts for a while. But the truth is most of your blog/website traffic's comes directly from social media, if you engage using social platforms to share posts and within a short time it can make good sales if your niche is about products and sales or you run a E-commerce websites and stores. e.g. if you are using affiliate means to monetize, then using social media power can convert the visitors into customers. Apart from that, social sites play a vital role in enhancing your site seo. Tip: Use Facebook Advertisements to reach more people in short time, Yes pay for Facebook ads. 6. Follow timeroid technique:- Don't wait for a moment.Just rock it, if you wait then the 2nd competitor will do it before you and you will fall behind the pecking other. Tip: For instance, if you want to target the keywords "Best laptops" , then it's better to target "Best laptops 2019 in 2018". Yes, let google know you are the #1 who did this and definitely you will remain the #1 spot on google. But, obviously just only targeting the keywords is not going to make you first. Good keywords and good SEO's pays. 7. Decrease page load time:- Speed is one of the major ranking factor. We all know this but incase you don't then work on it, don't ignore it. Tip:- Use gtmetrix, dotcom-tools.com, pingdom and google page insights to know your website's speed and causes of high page load time and rectify it as soon as possible for better ranking. 8. Make your website a brand:- Branding is another thing google loves most, always work with top brands. Tip: go with the domain which is unique, shorter and easy to learn and pronounce. 9. 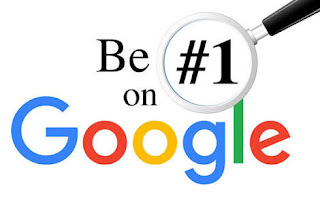 Link building:- I listed this at last not because it's not really necessary but because i want to key you in to other top factors in ranking #1 in Google before I sum it up, To be sincere this is the most factor that is responsible for the #1 ranking of website's on google. Yes you heard me, I don't know if you agree or not but without link building, I can't really see you achieve #1 rank in Google search engine. Remember if you neglect link building then it will be quite difficult for you to get the #1 rank in SERPs. Always build links from relevant niche sites because it will pass good link juice as compared to non-relevant sites. Tip: Buy, research or do whatever it takes, but always build links because google loves it. Google always tends higher ranks to those sites which has good link profile. You can use ashrefs, semrush tool to steal your competitor links. Feel free to ask questions where you don't understand and you can aswel give us more tips so we can update it by using the comment box. Thank you. You are welcome SAMUEL ADENUGA, Always comeback here for more packages, please don't forget to share this post, Thank you.